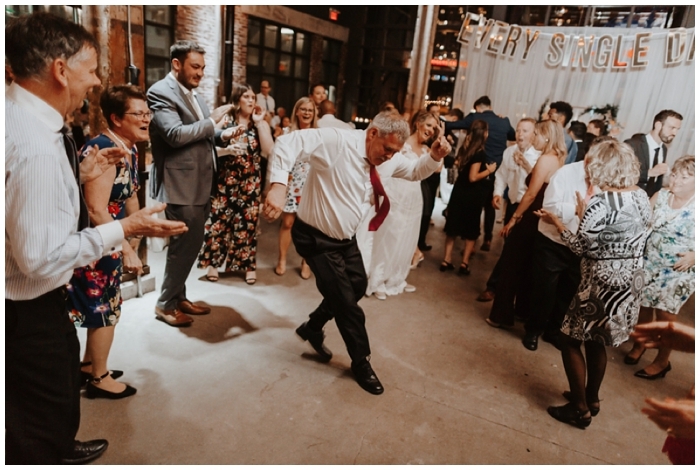 Well, first wedding of Spring was one for the books. 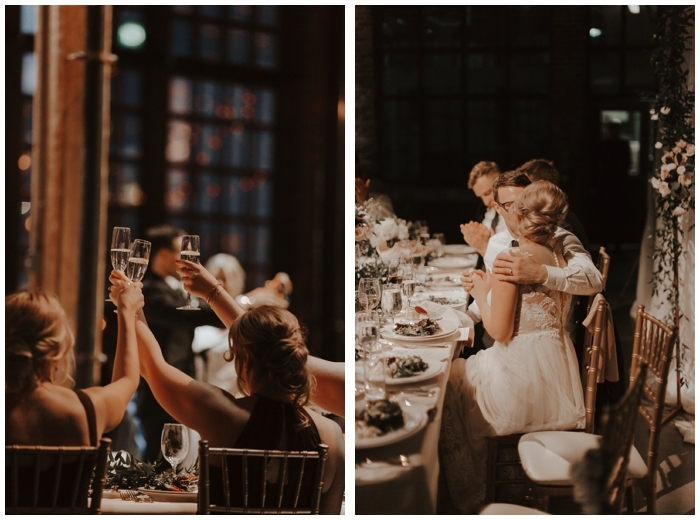 I’ve fully kicked off the season, working every single weekend with each and every one of my wonderful couples. 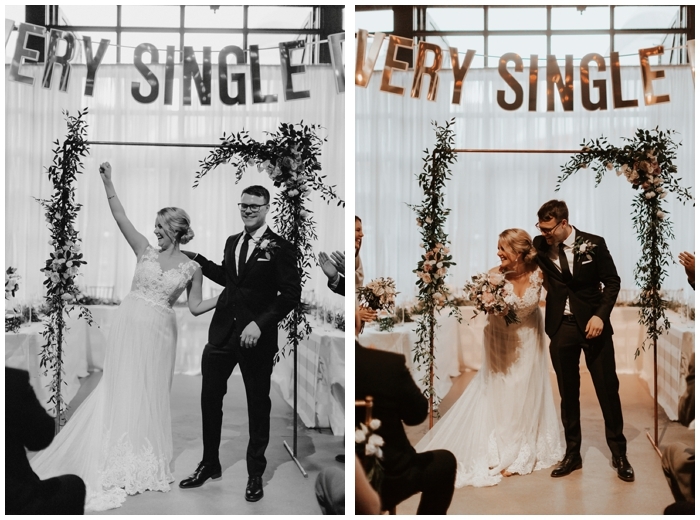 The best part of it all is that my husband Brandon has joined me this year and added his creative touch. 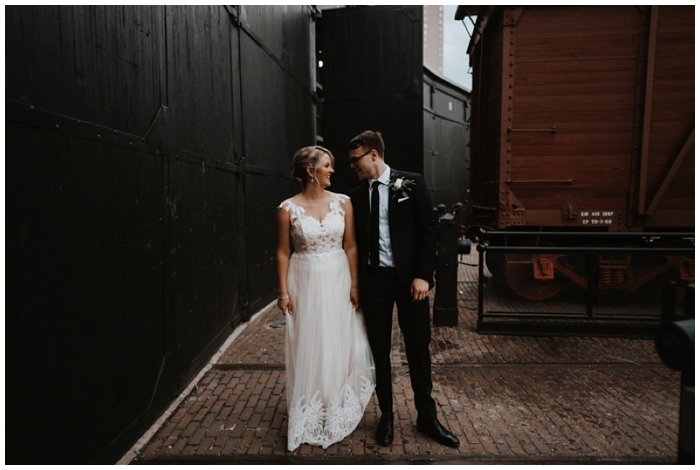 Neil & Court was the first for us and we couldn’t have had a better day with these two. 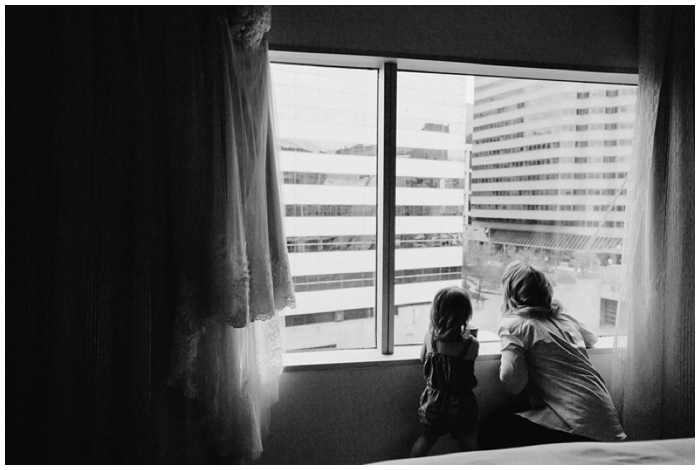 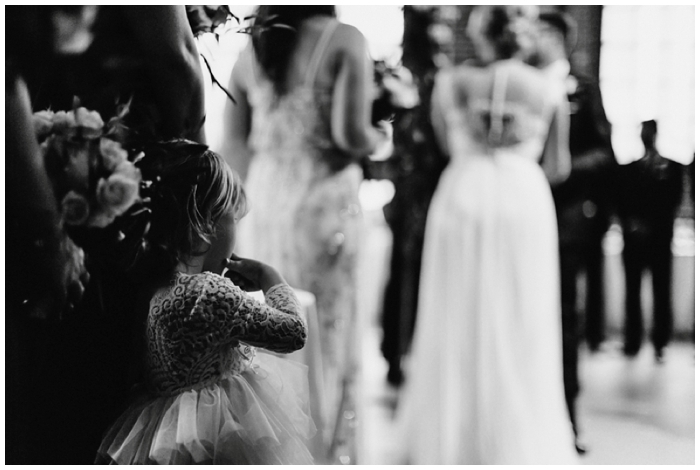 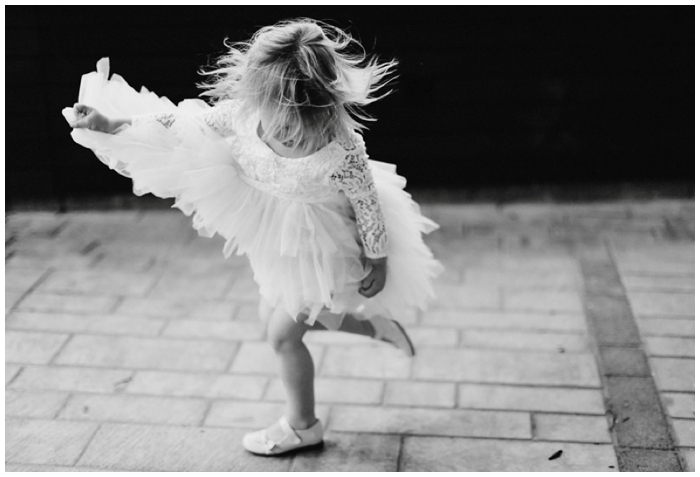 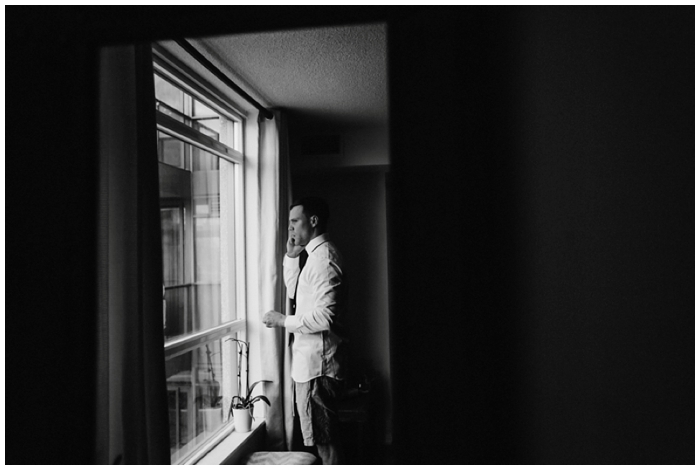 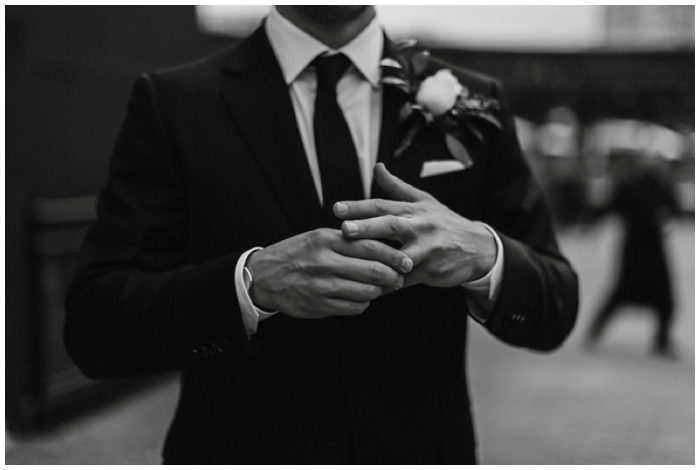 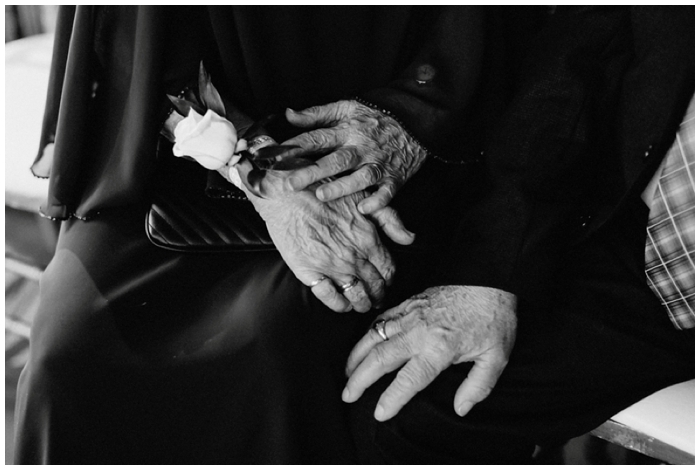 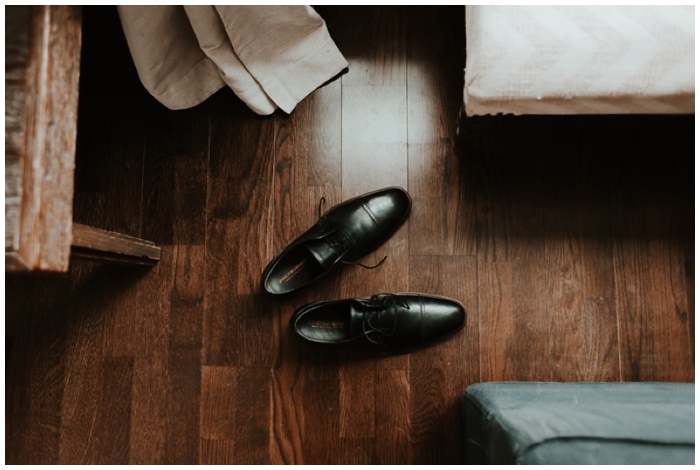 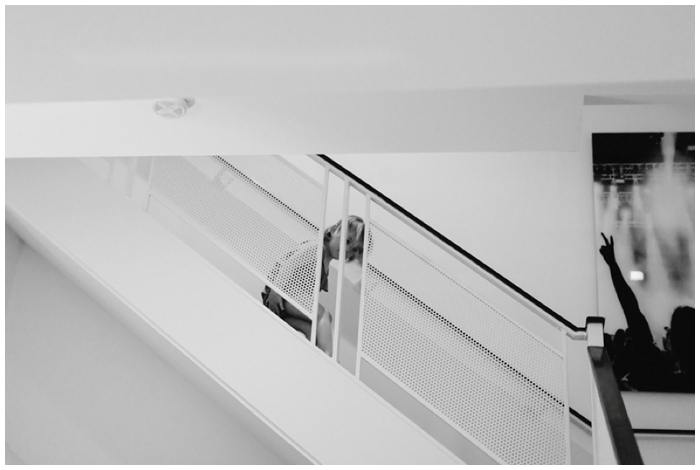 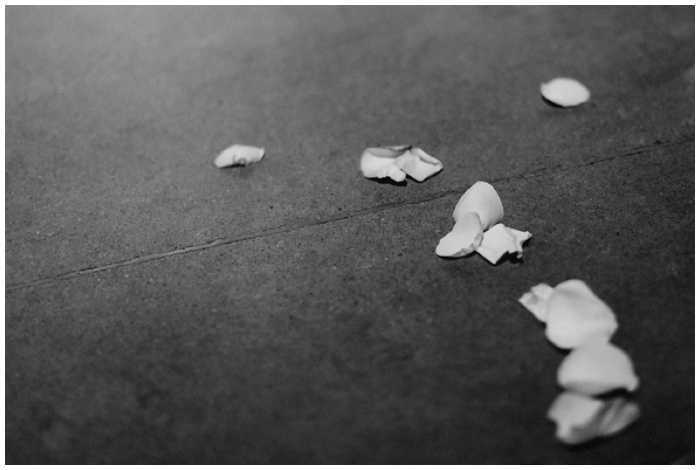 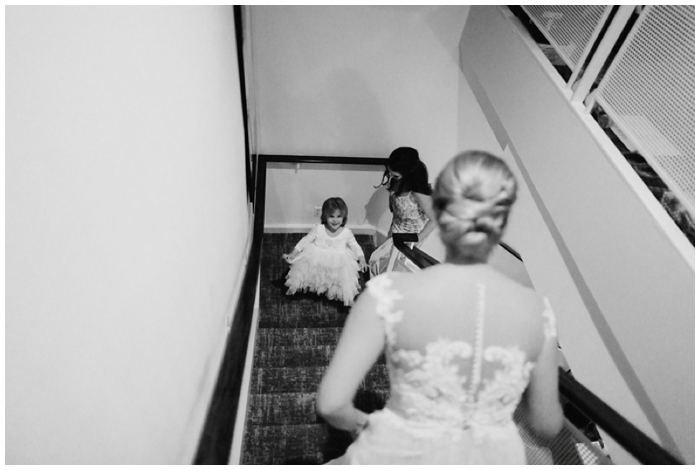 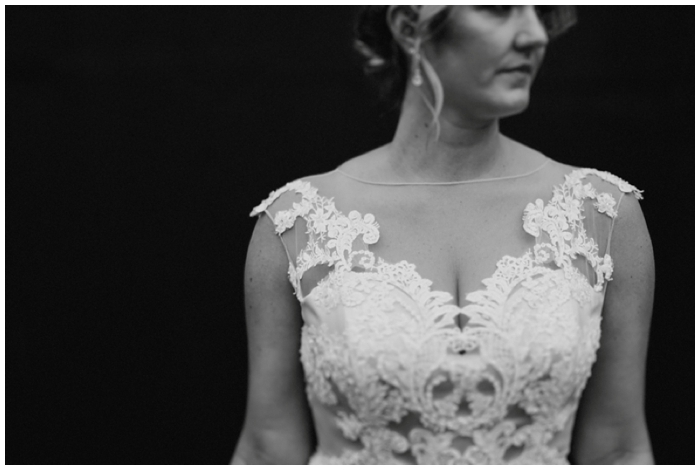 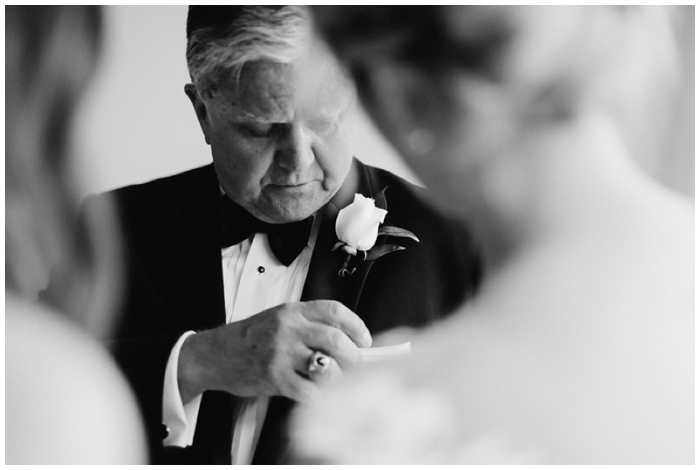 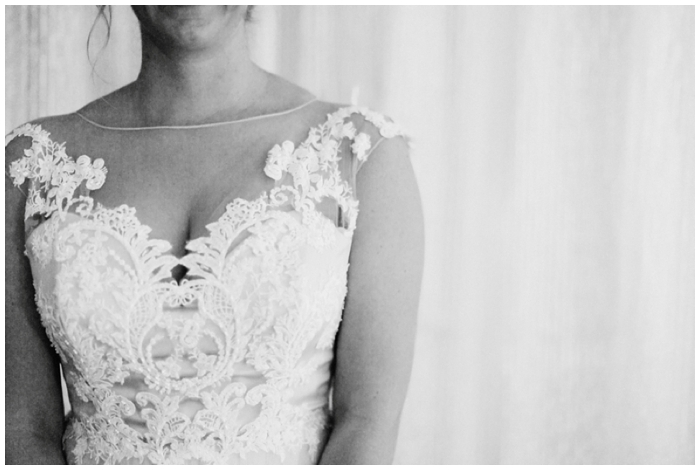 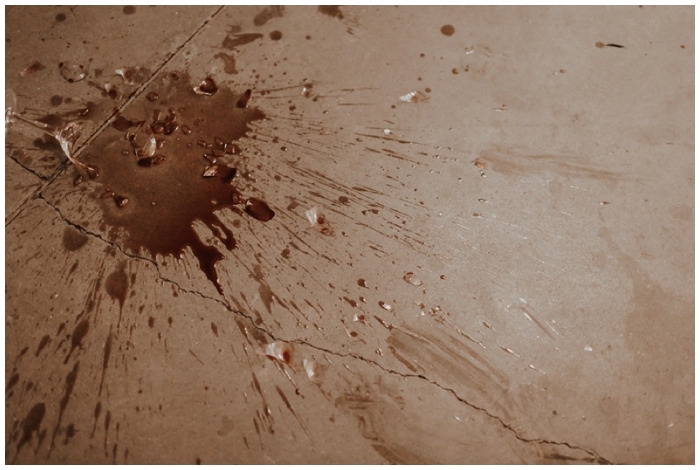 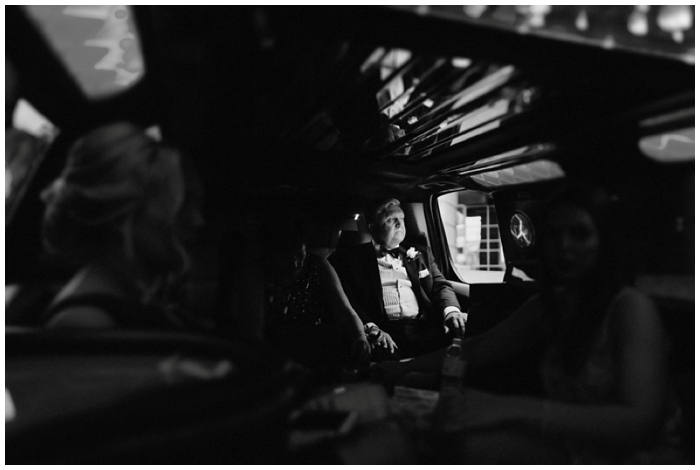 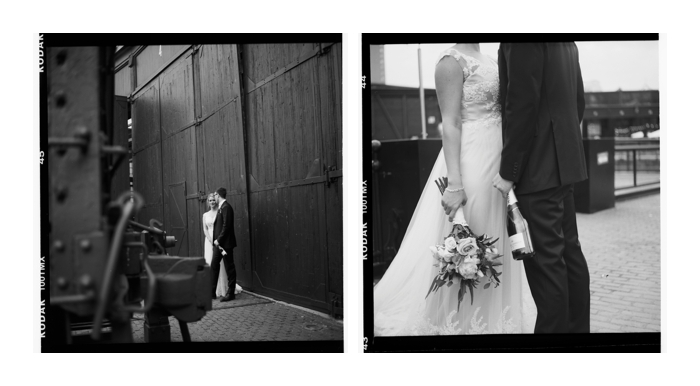 Keep an eye out for his beautiful 120mm Black & White photographs included below! 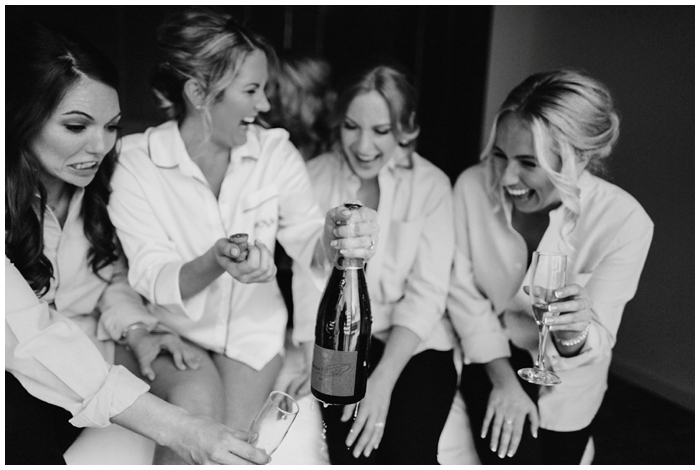 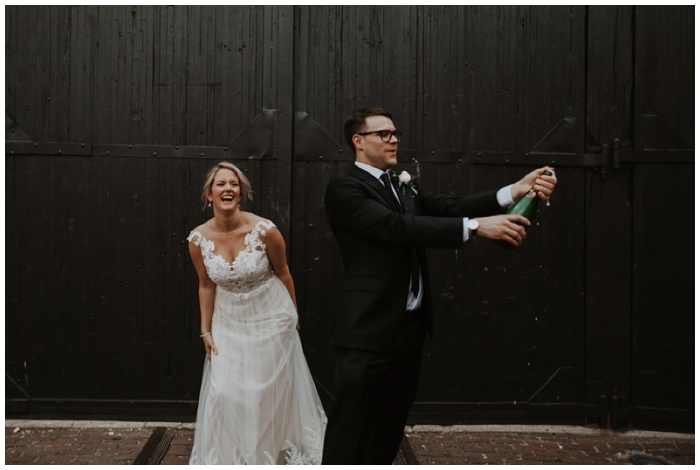 We drank champagne (lots and lots of champagne!) 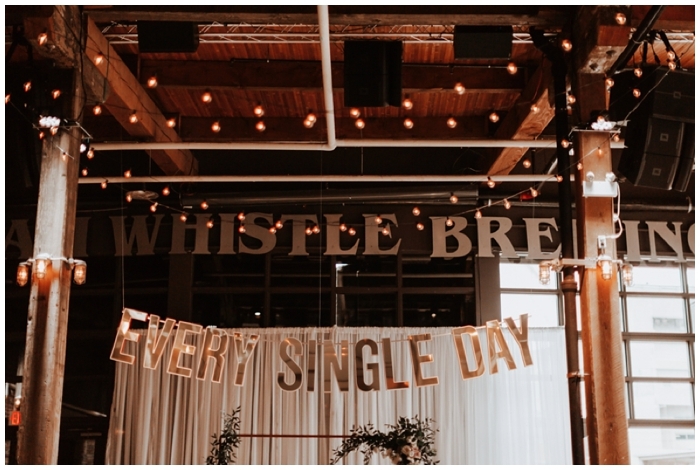 and celebrated N & C amongst the industrial design of Steam Whistle Brewery. 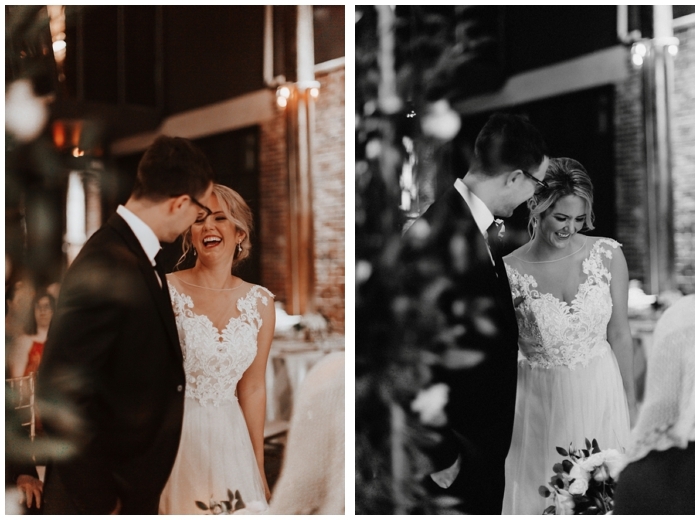 One of my favorite things about these two is how much they giggle at eachother. 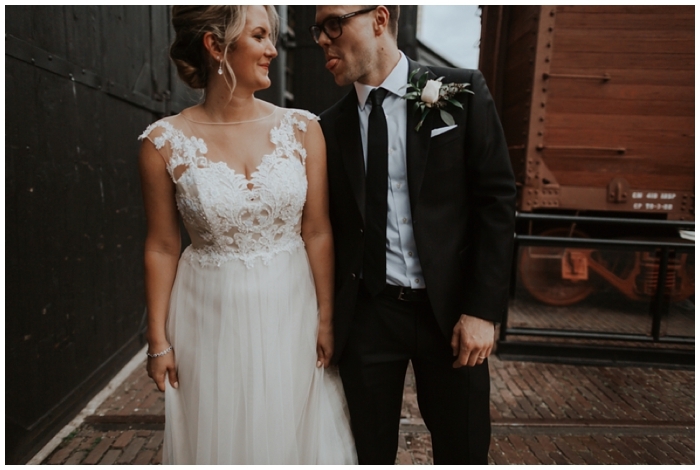 I remembered from their engagement session how Neil would very quickly look over at Court & stick his tongue out. 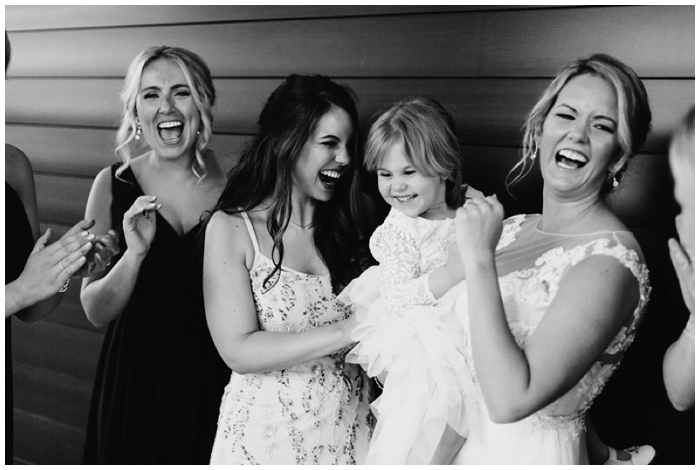 Naturally, Court would react with a cute scrunchy nose and a sweet little giggle. 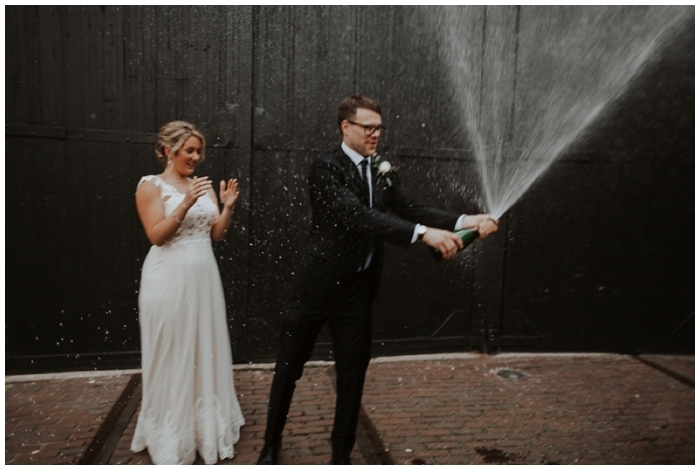 This happened ALL day during the wedding, and I could tell they had the best time. 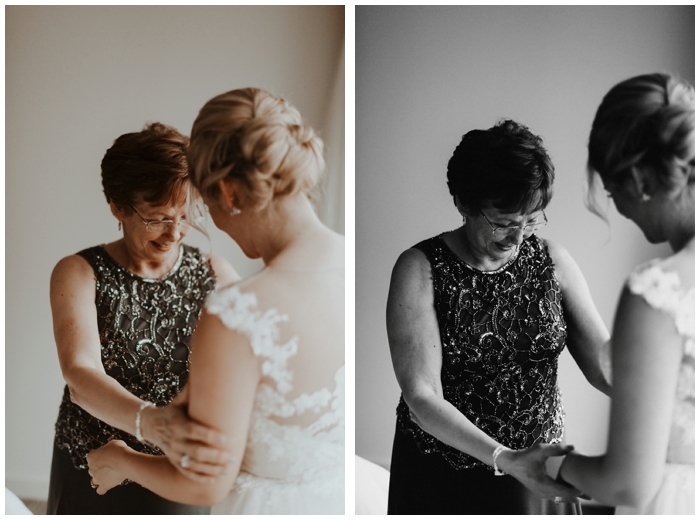 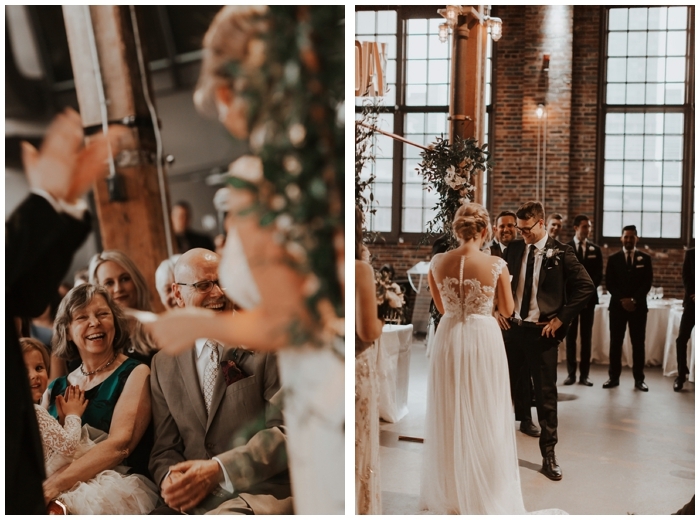 Of course, being surrounded by their closest made a pretty huge impact on them, and I hope the photos capture at least an ounce of the pure happiness and love that filled up the room. 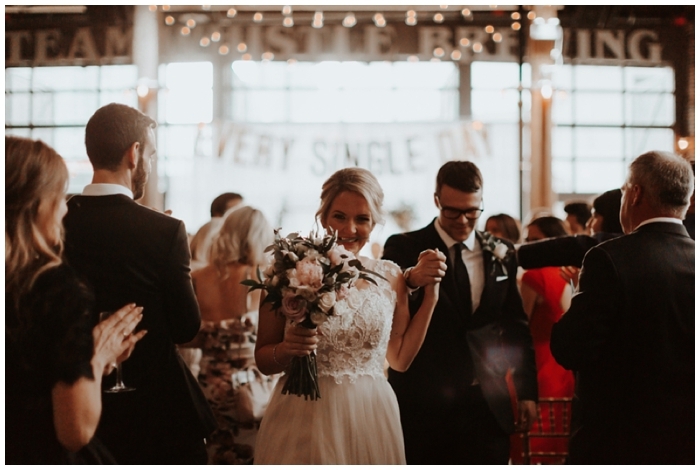 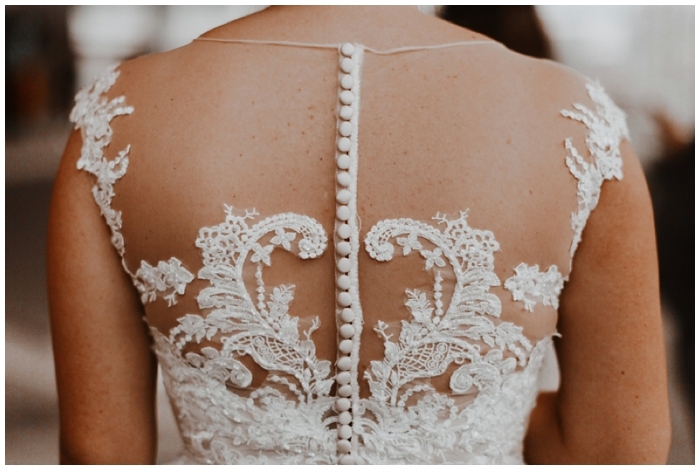 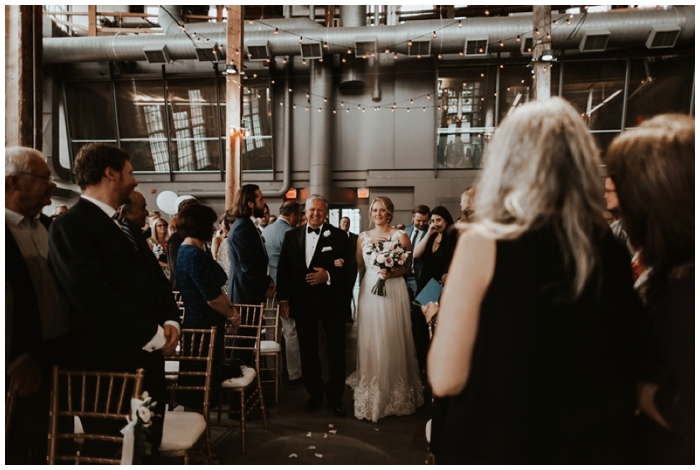 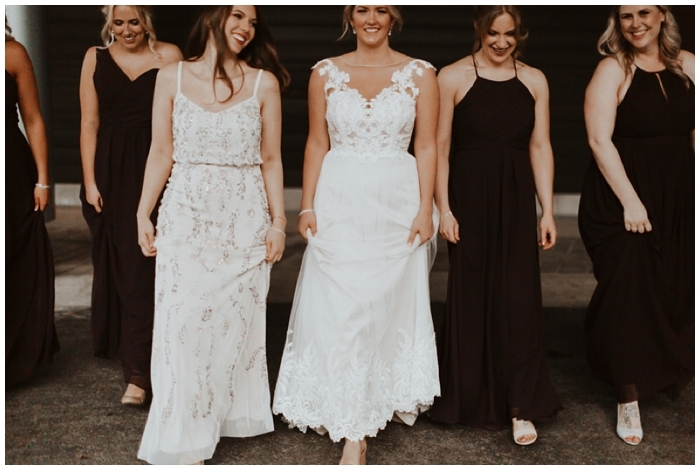 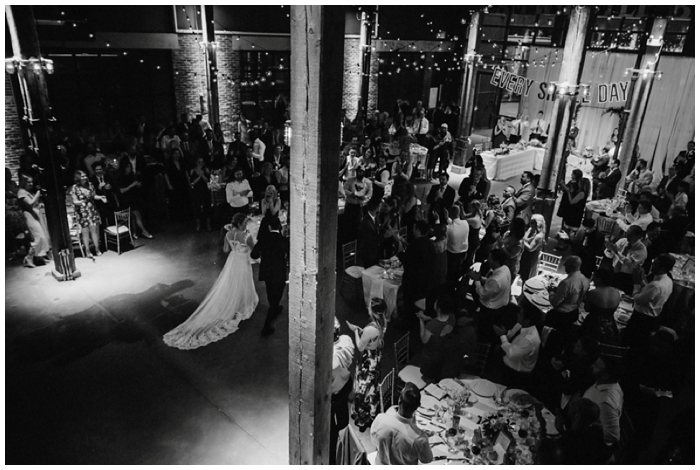 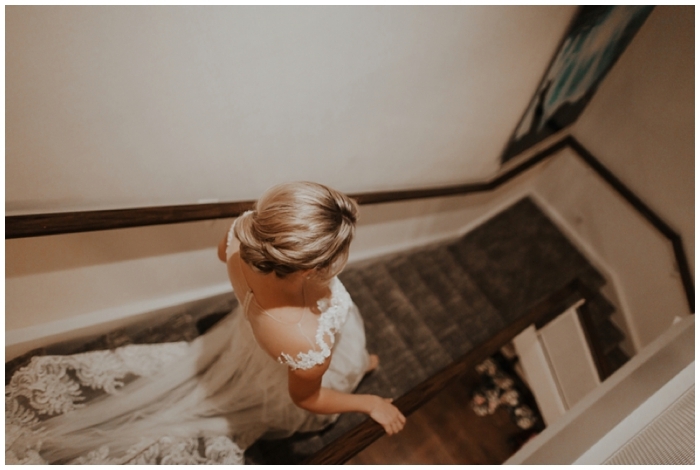 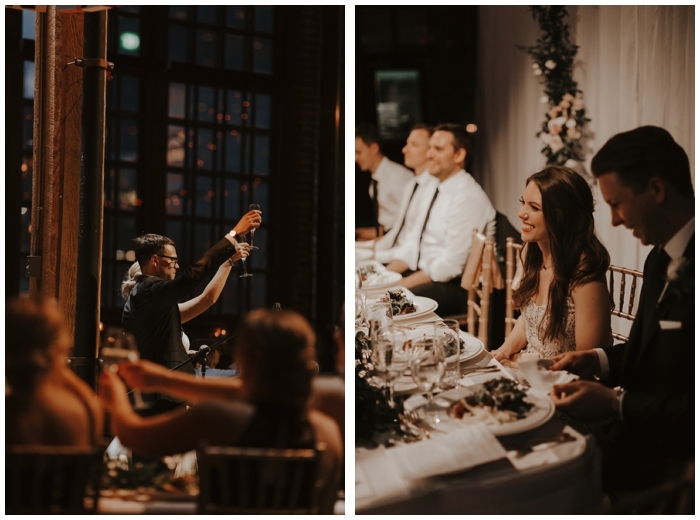 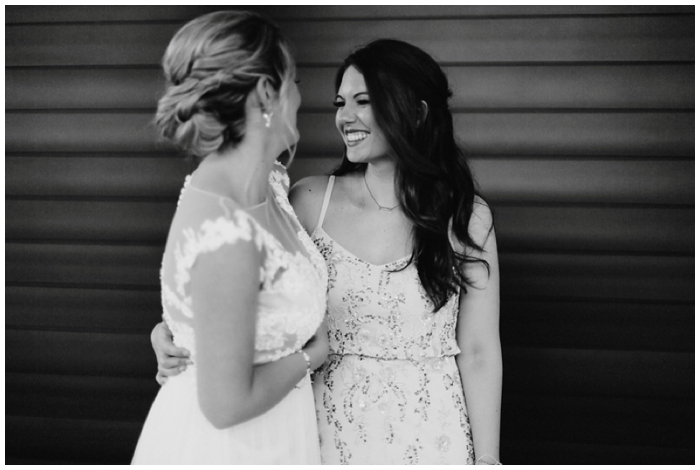 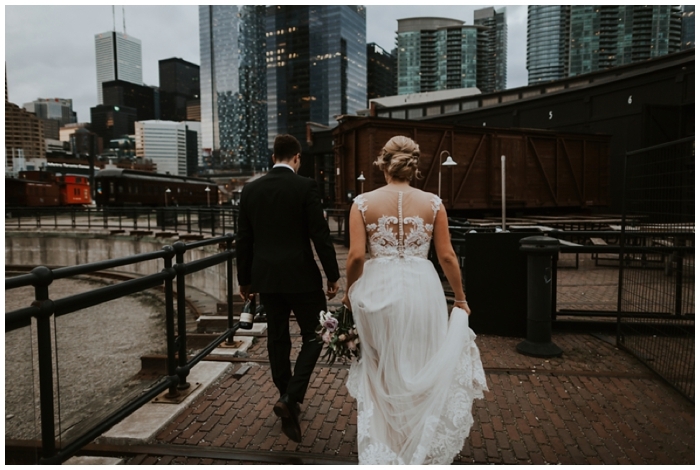 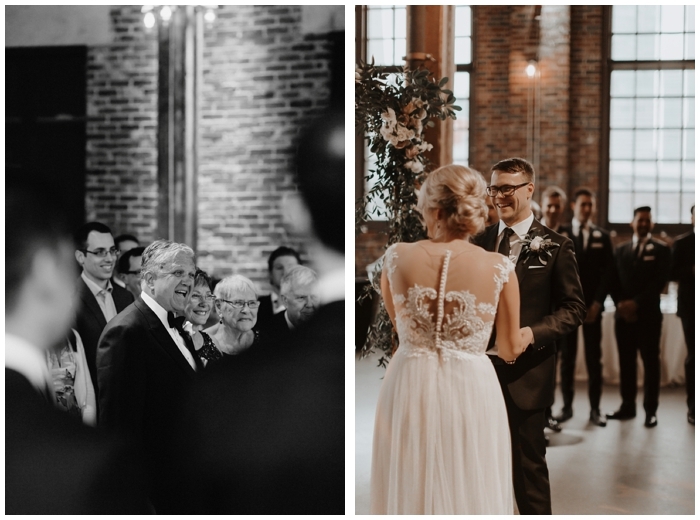 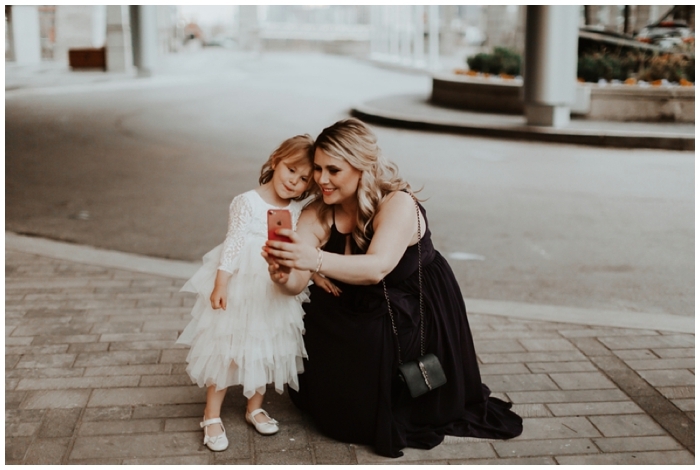 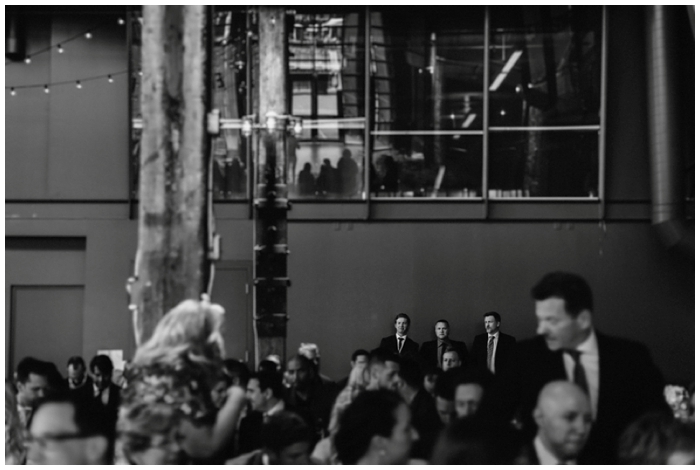 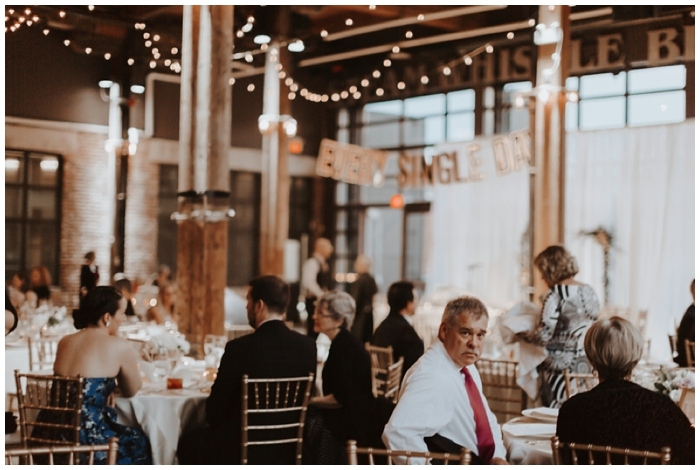 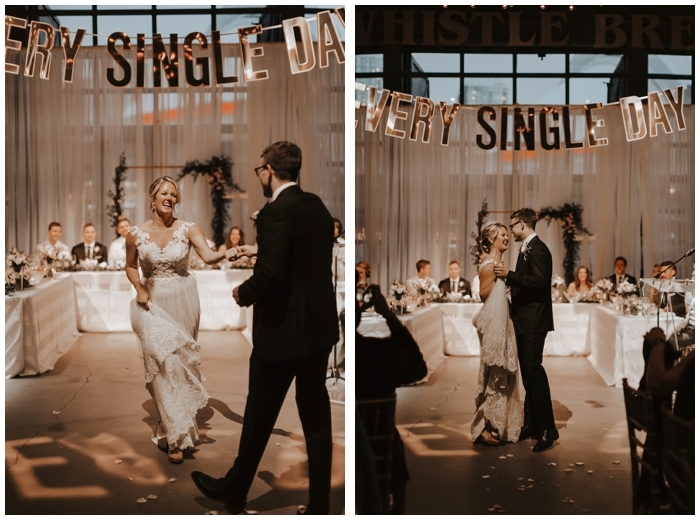 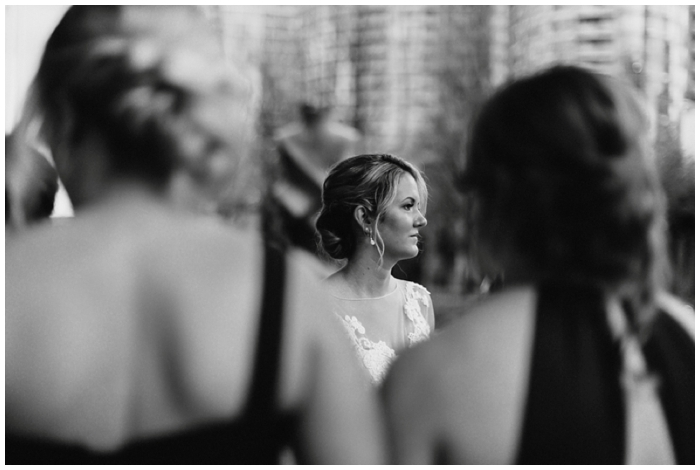 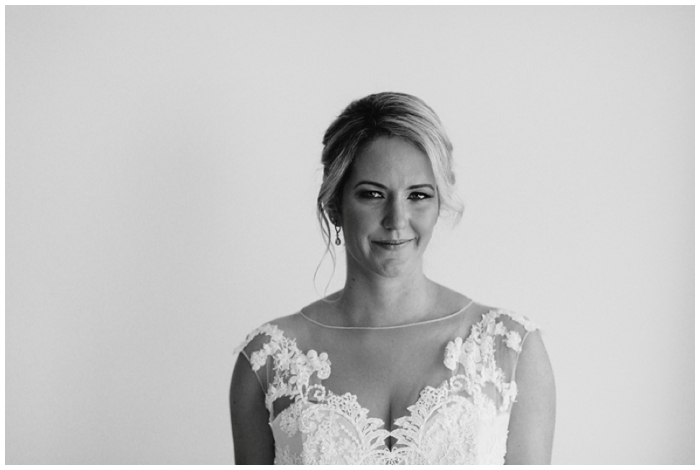 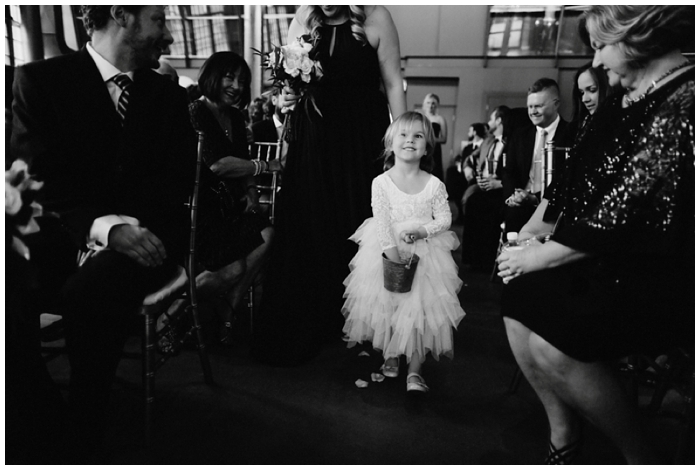 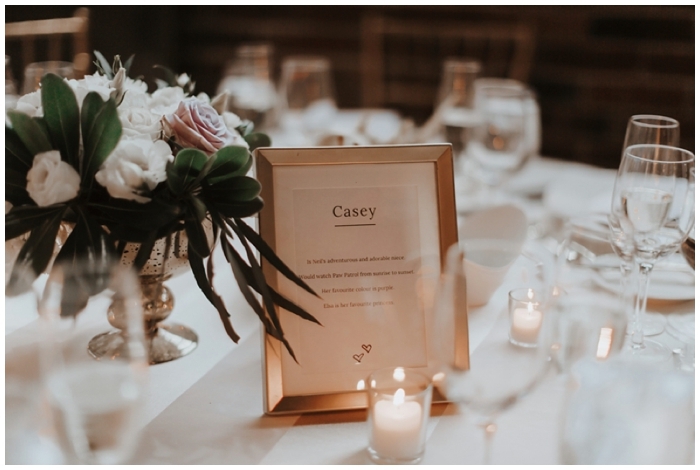 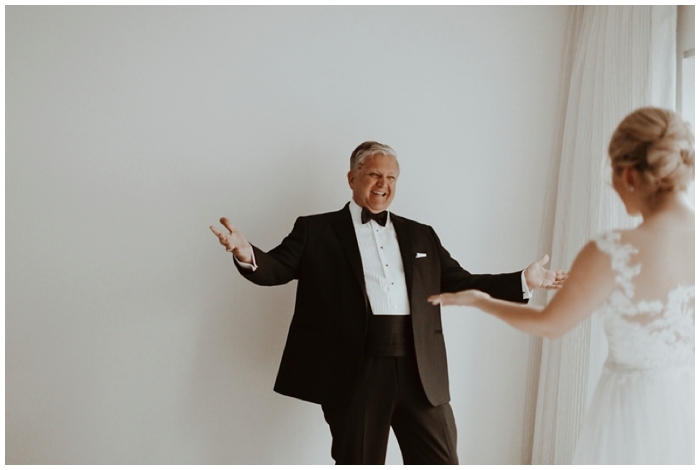 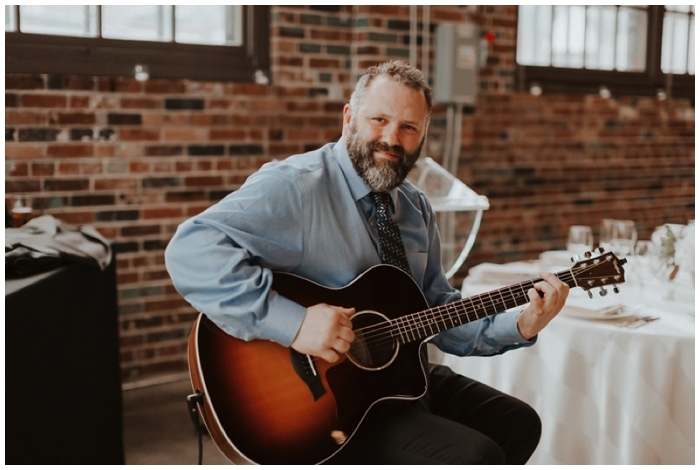 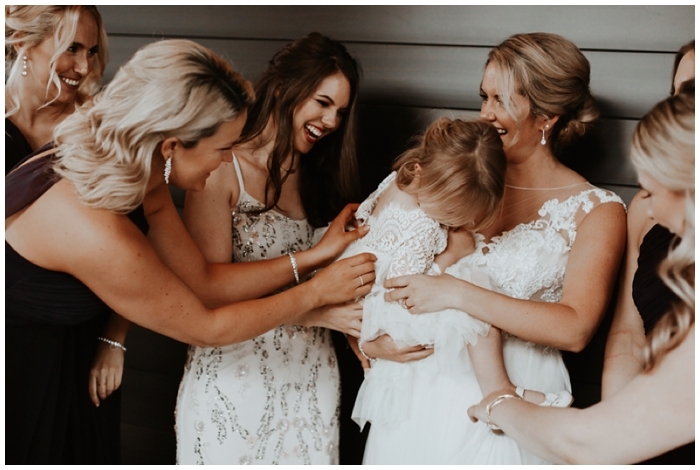 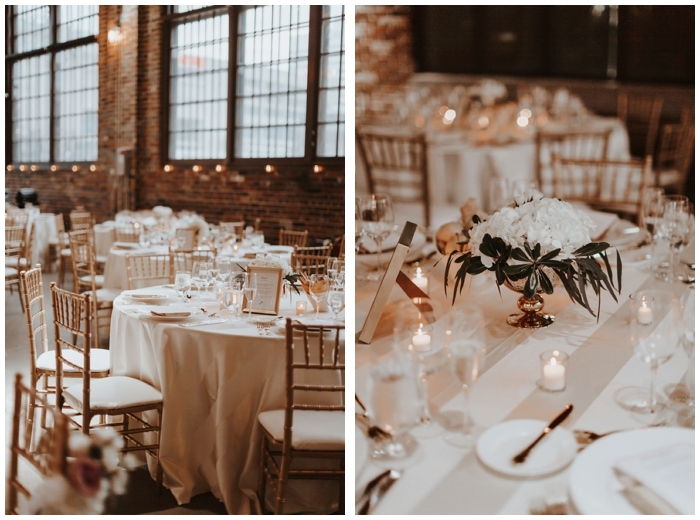 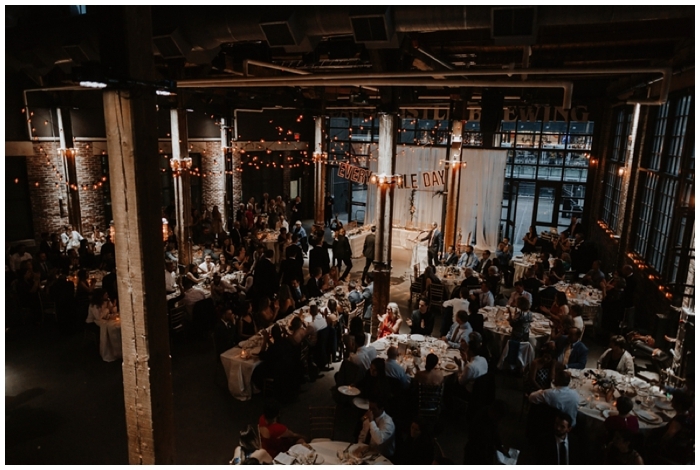 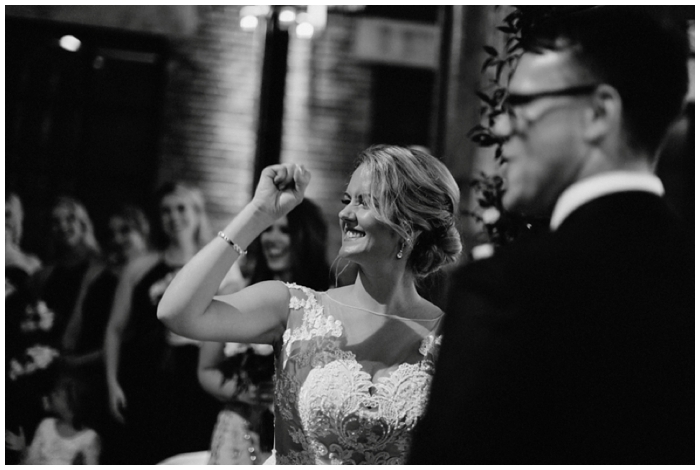 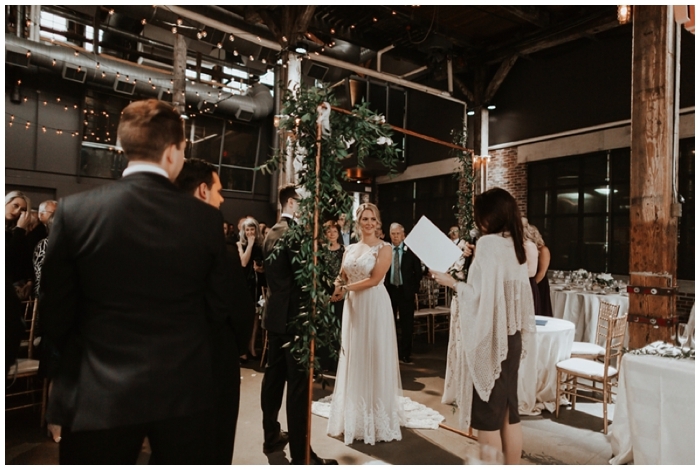 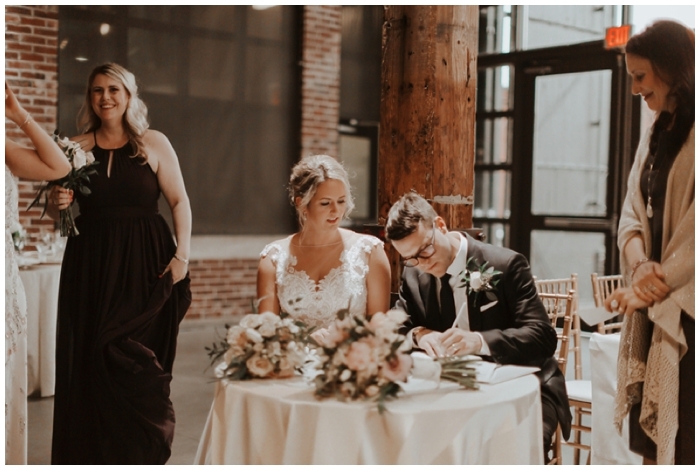 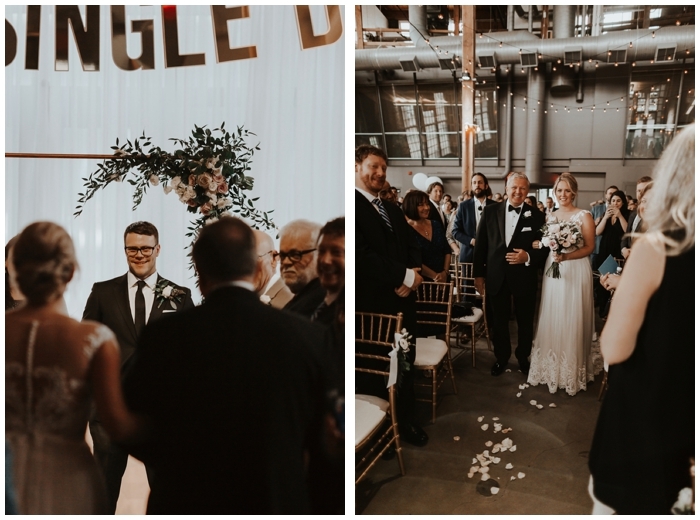 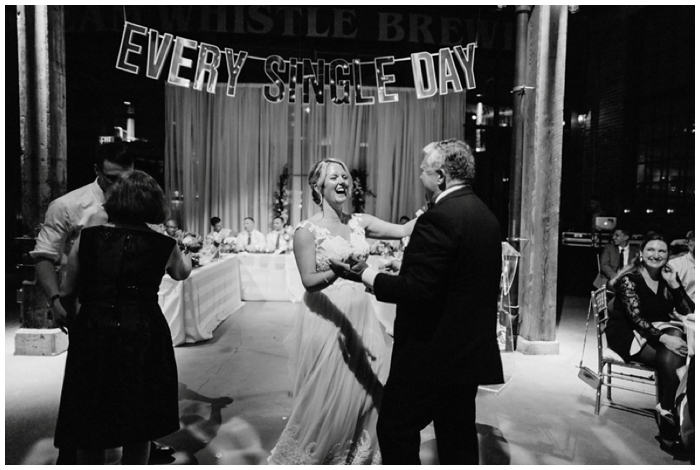 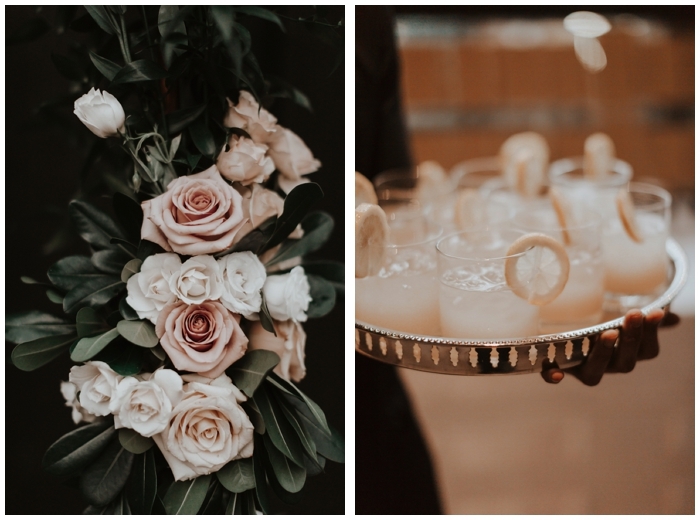 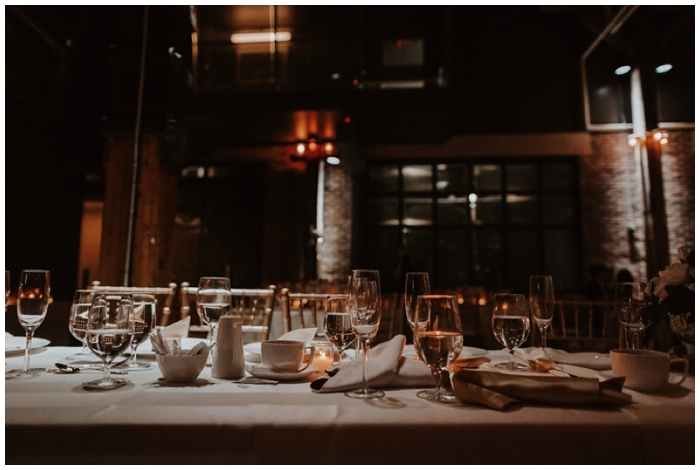 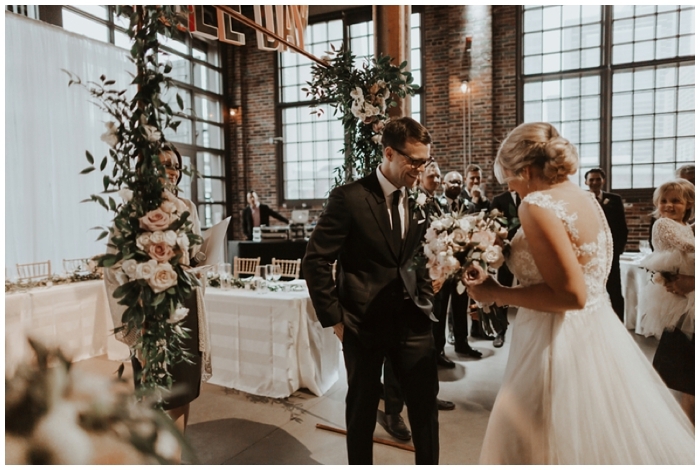 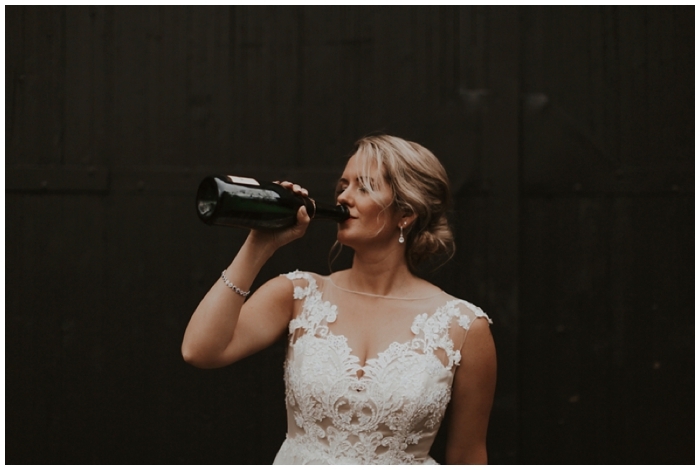 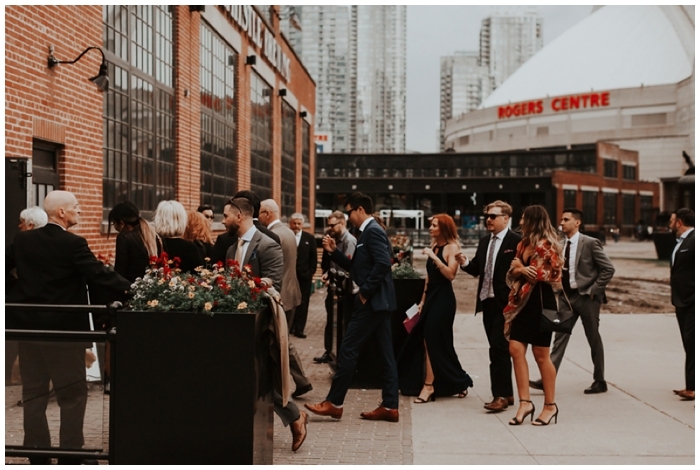 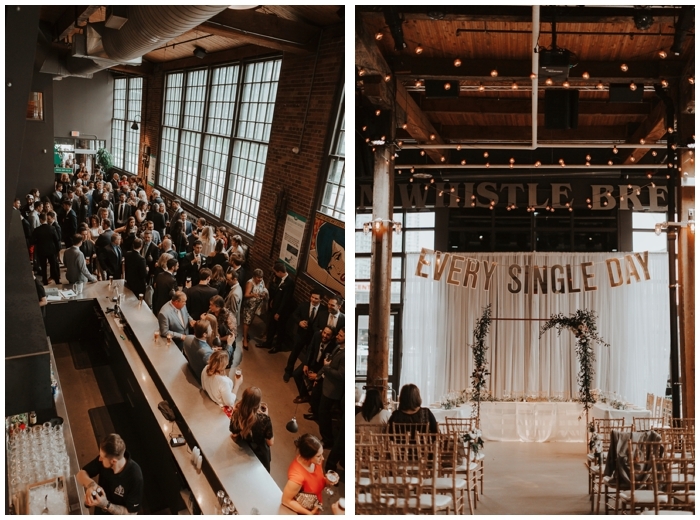 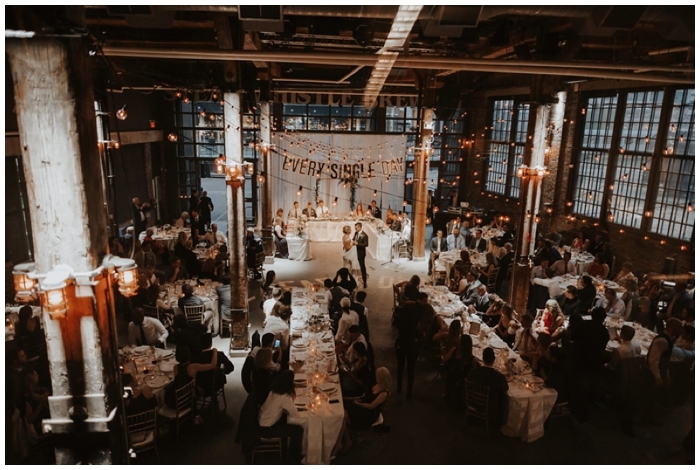 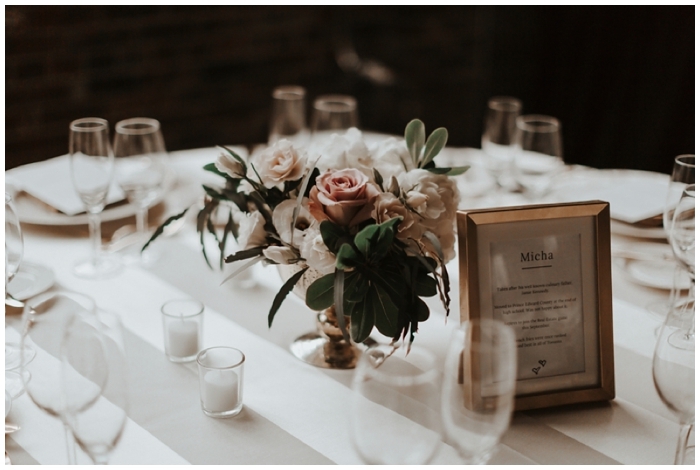 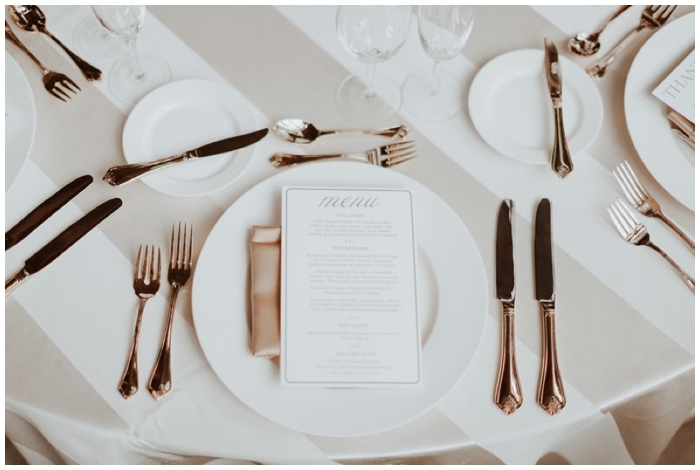 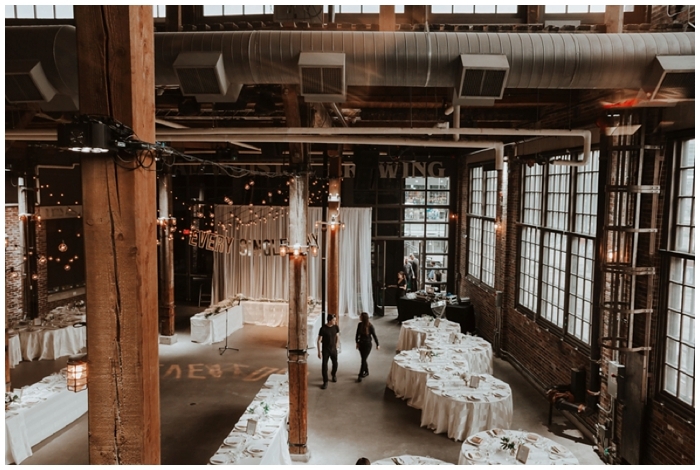 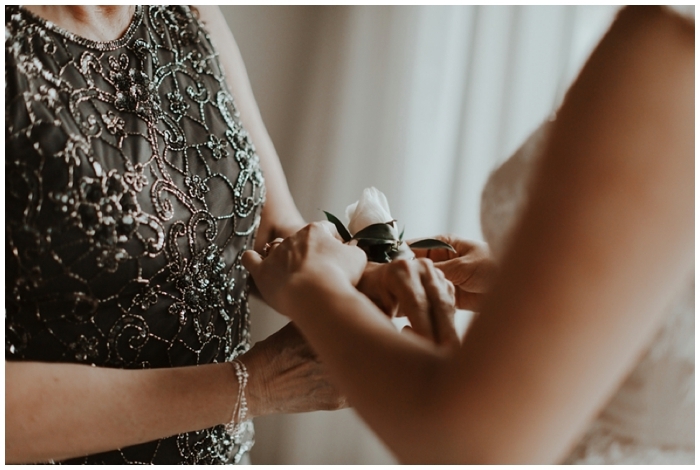 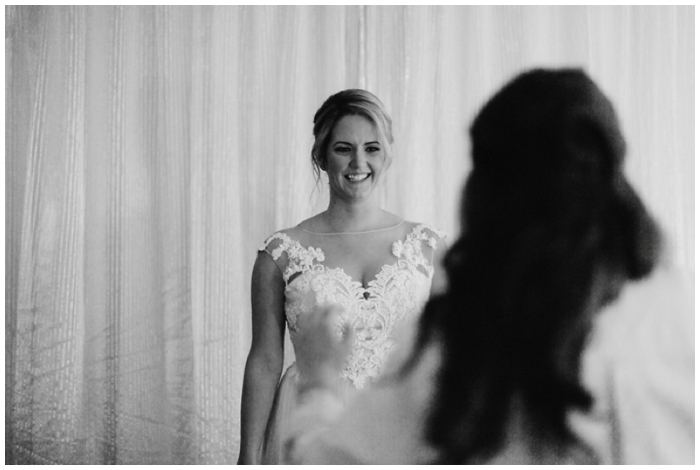 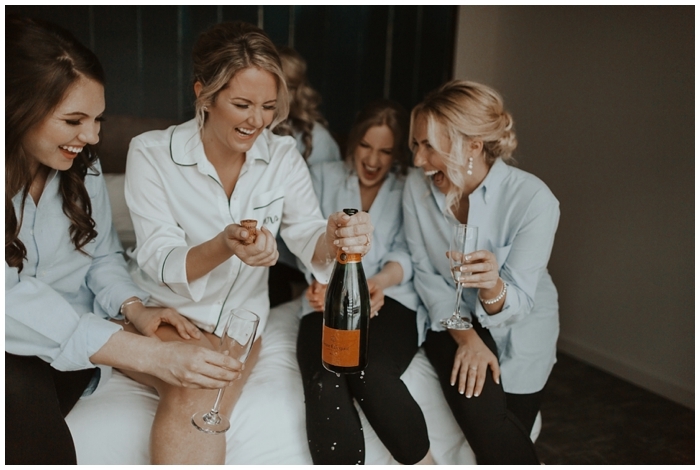 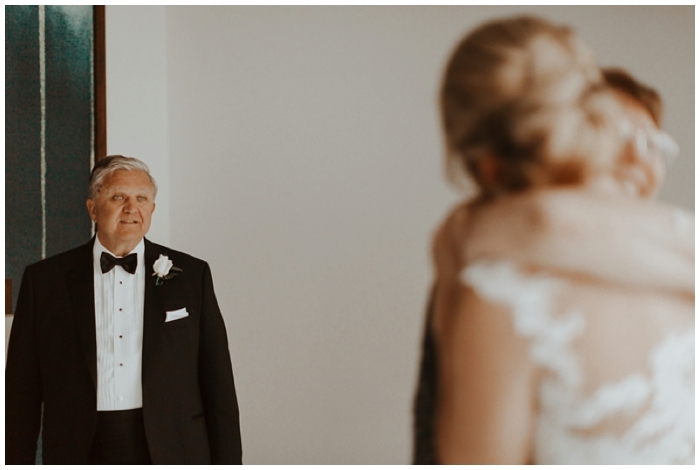 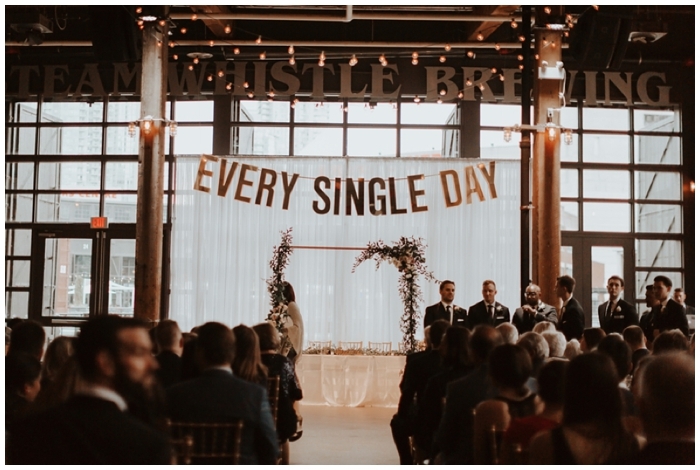 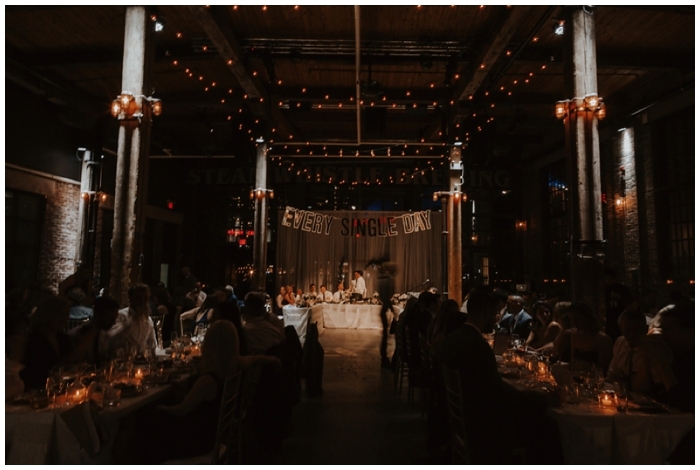 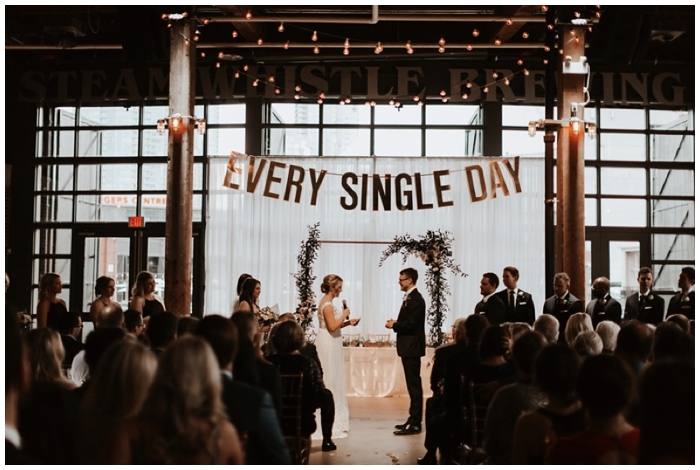 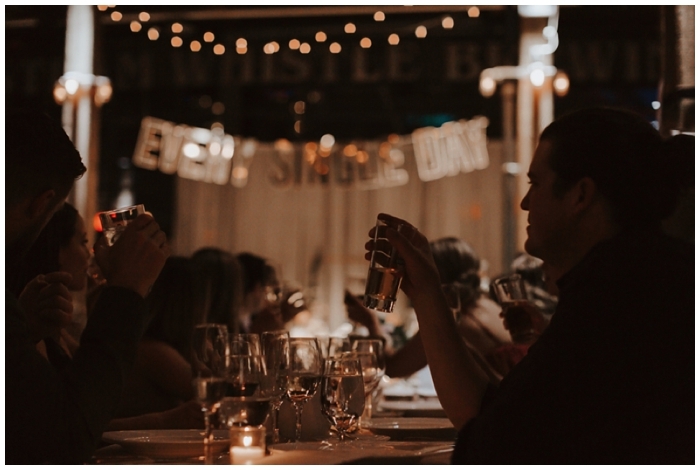 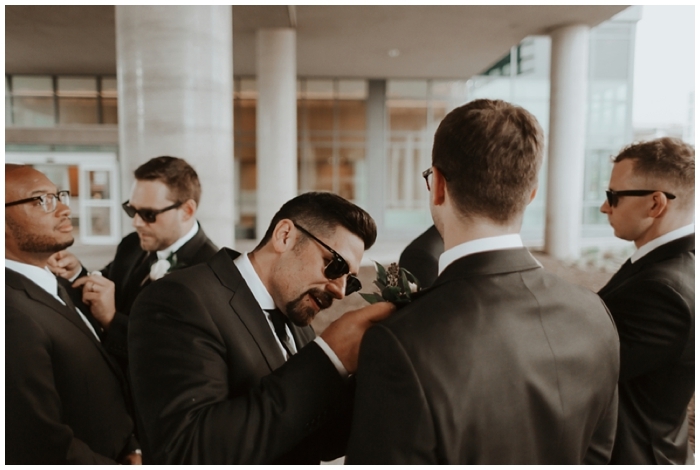 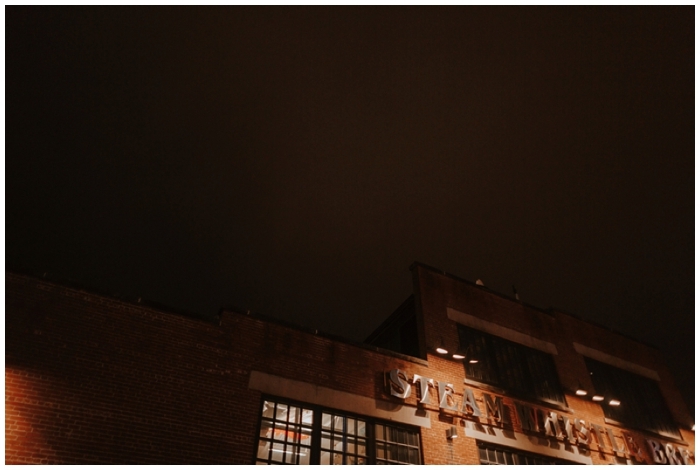 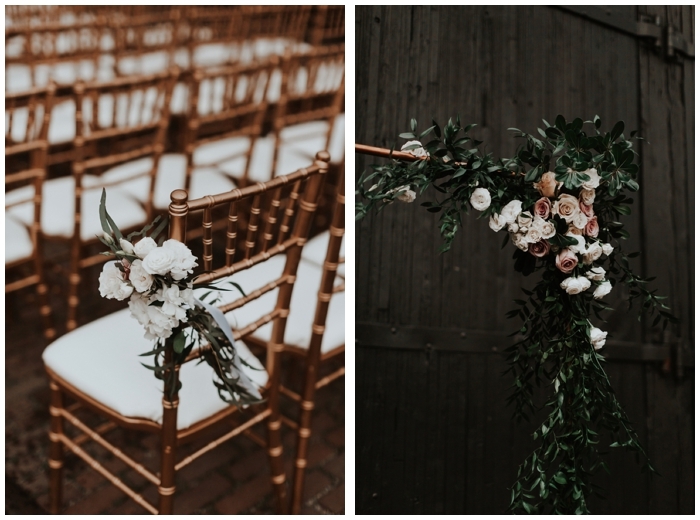 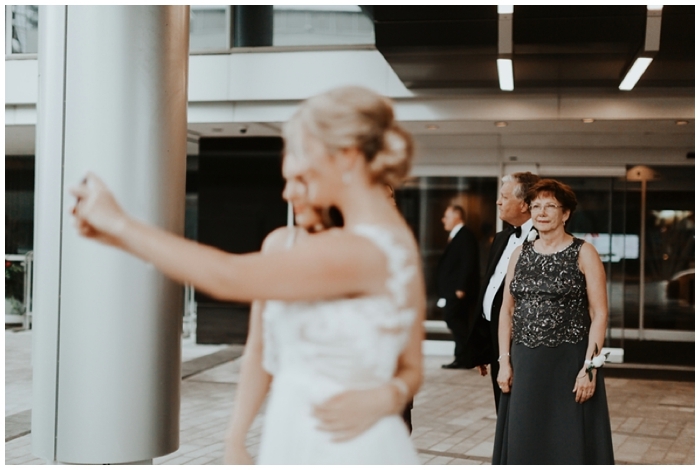 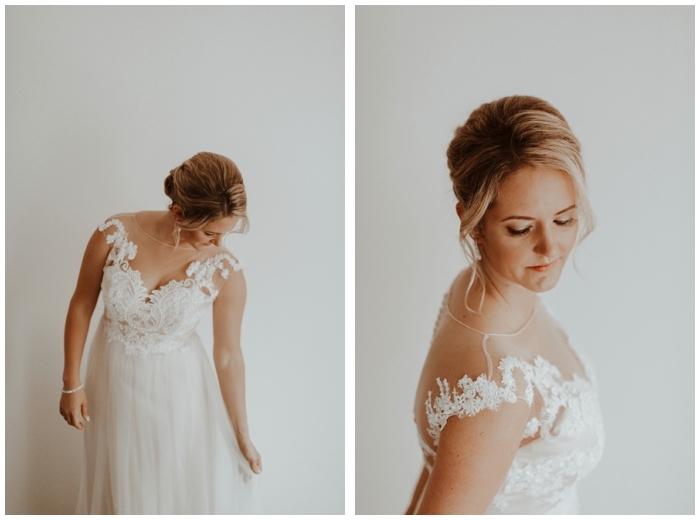 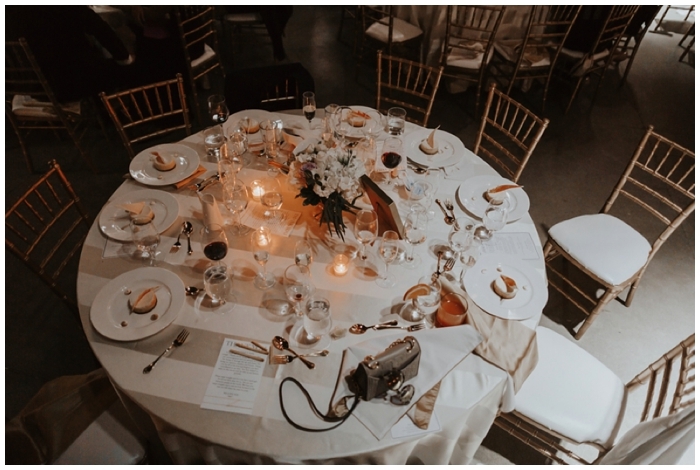 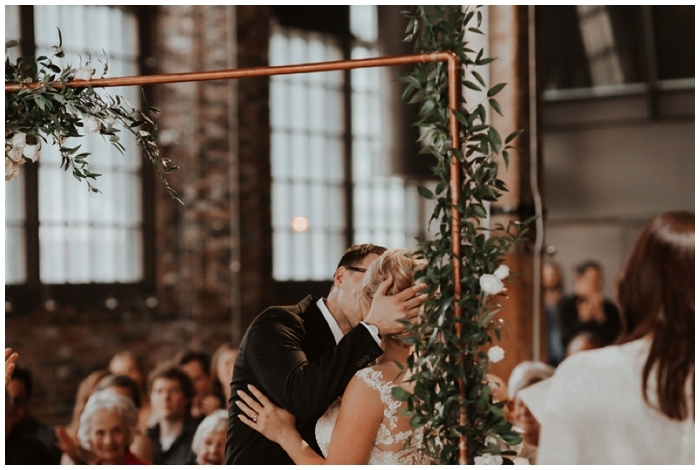 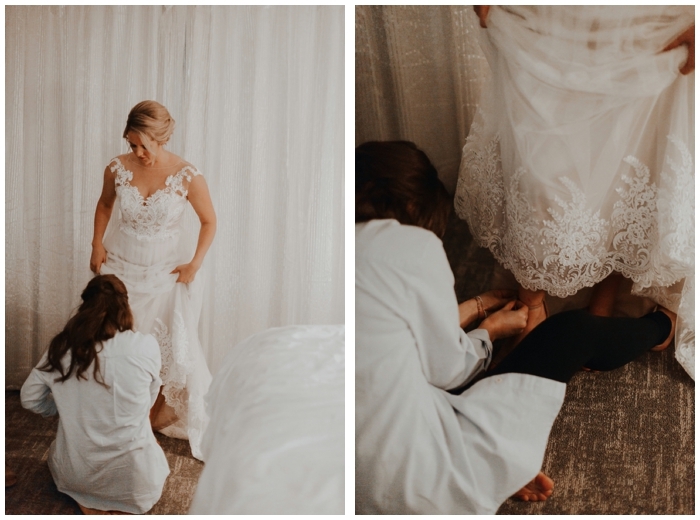 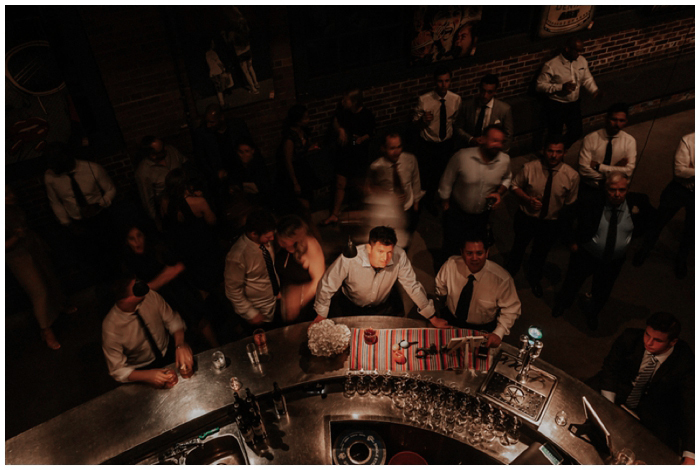 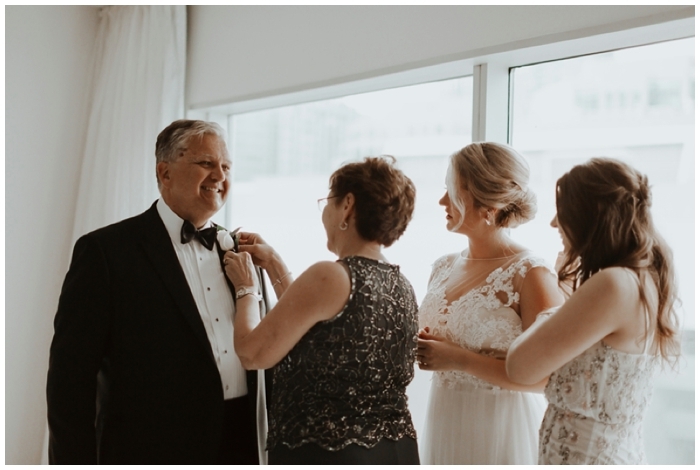 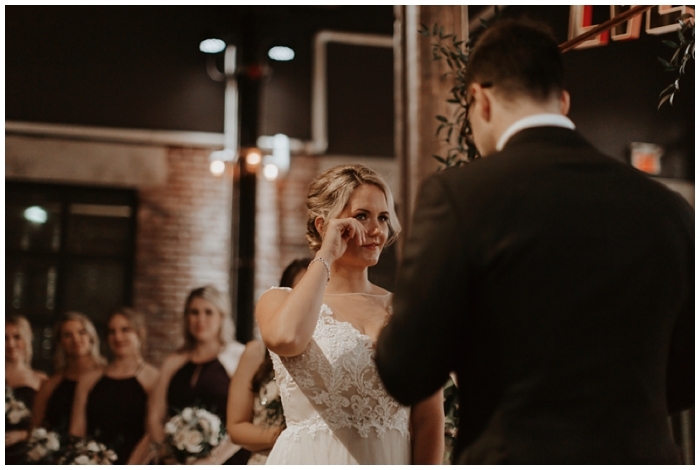 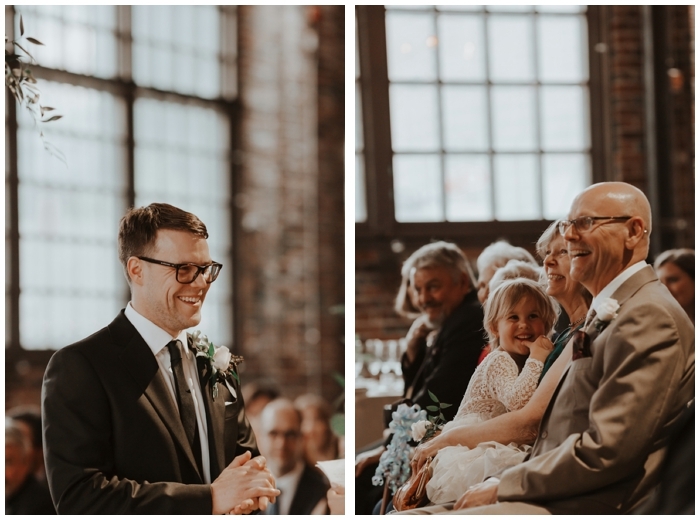 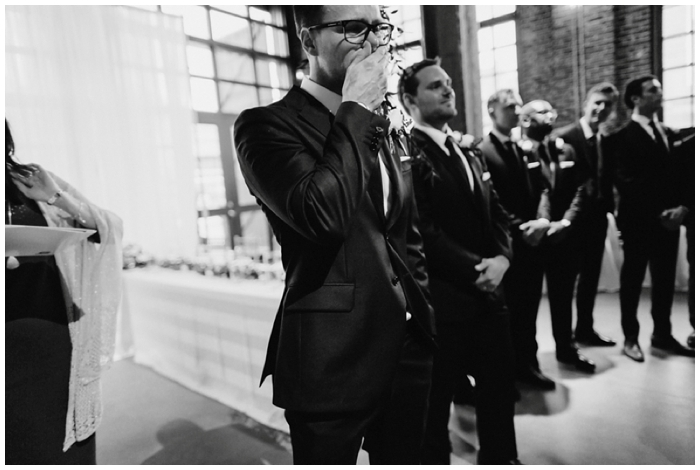 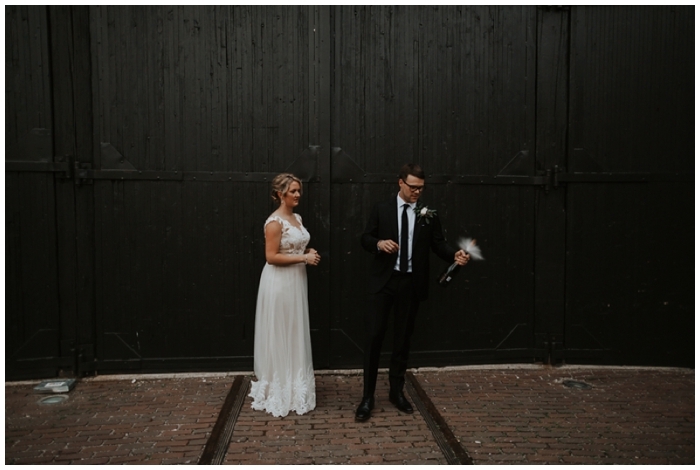 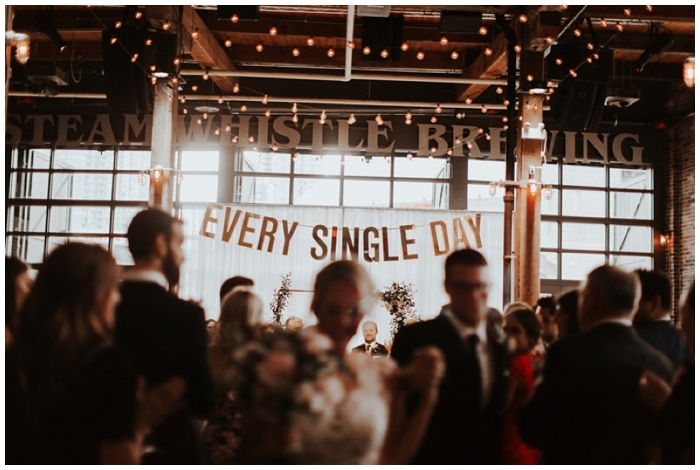 Although Steam Whistle Brewery is a big, industrial shell, the wedding couldn’t have felt more intimate and connected in a room full of friends & family. 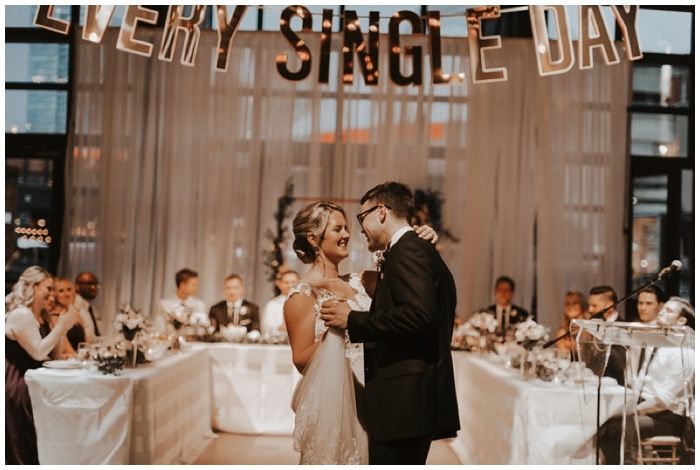 Trevor Wheatley, insanely talented artist based in Toronto and a close friend of the couple built a custom “Every Single Day” structure that hung above the head table. 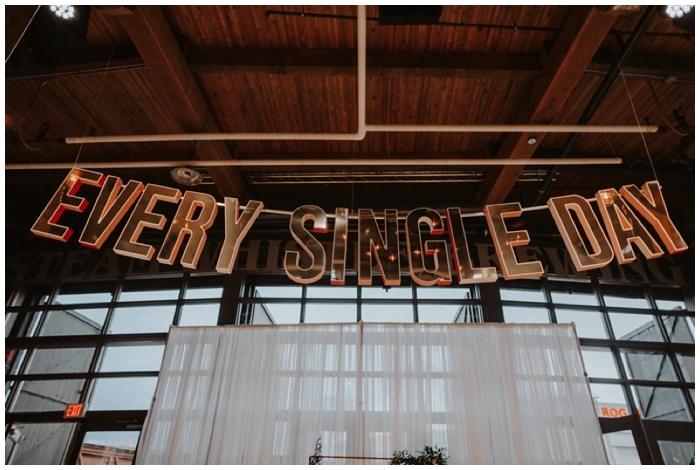 It is easily one of the most memorable installations that I’ve photographed at a wedding and one that suited each and every word of N & C’s personal vows to one another. 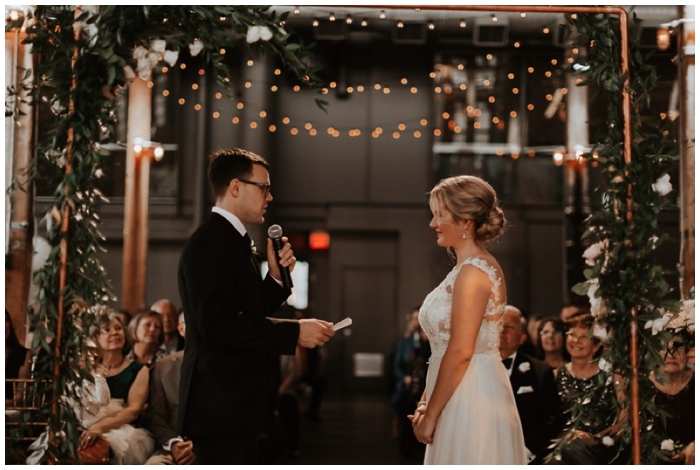 Did I mentioned, Neil & Court wrote their own vows, absolutely beautiful vows. 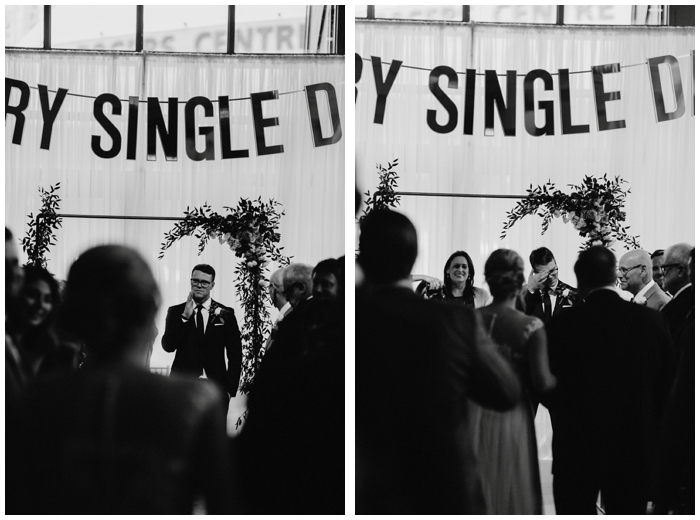 And funny enough, they almost matched eachother word for word without even planning it. 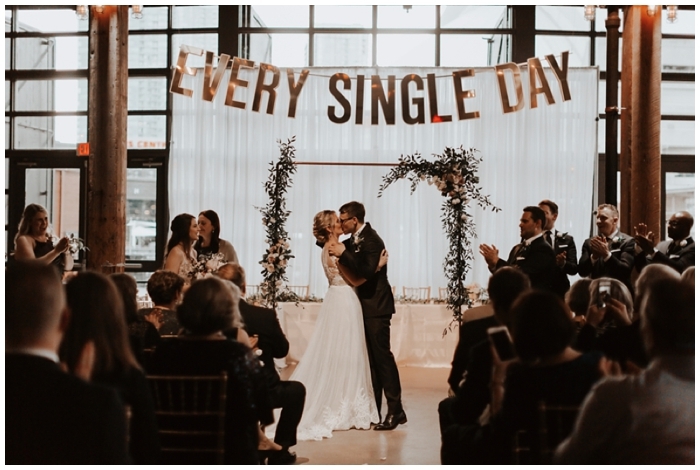 All I can say is Every Single Day! 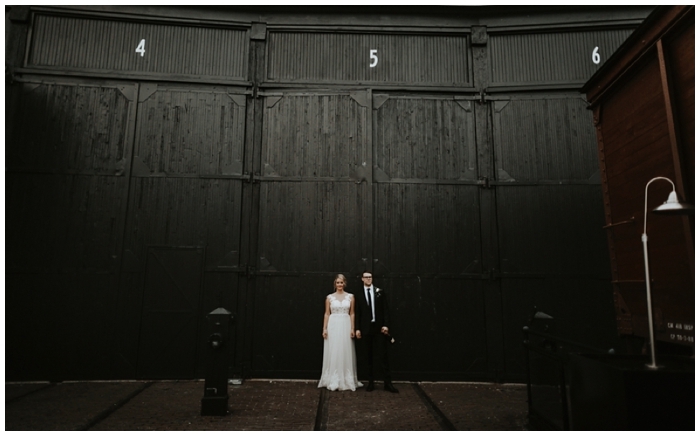 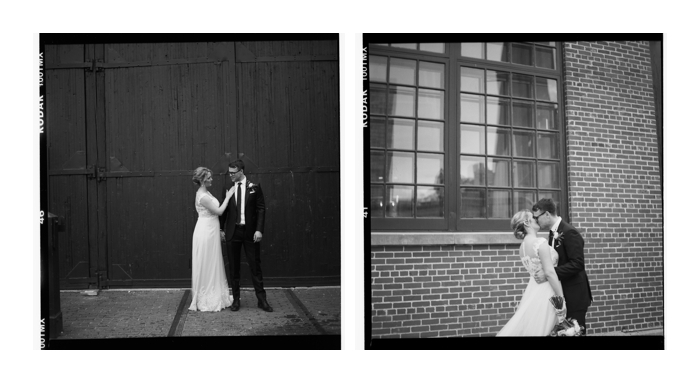 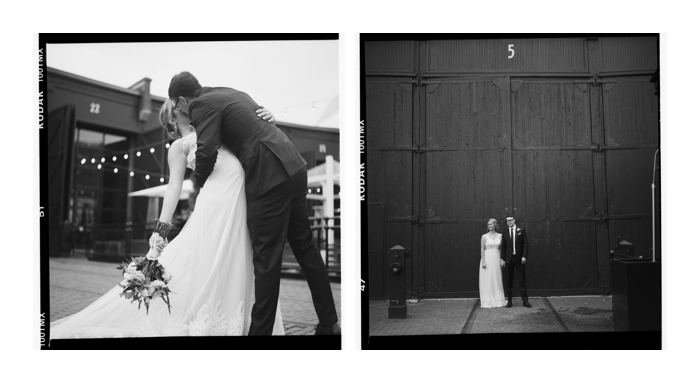 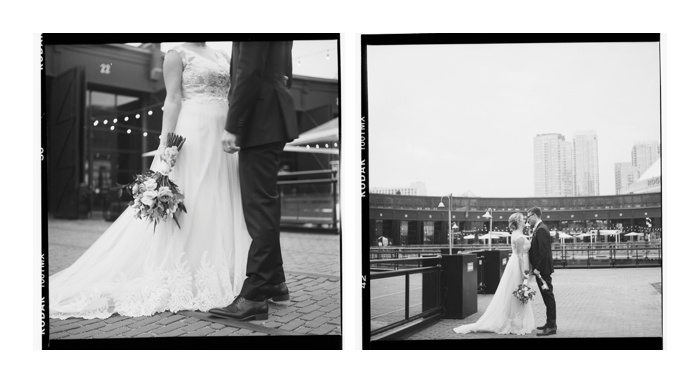 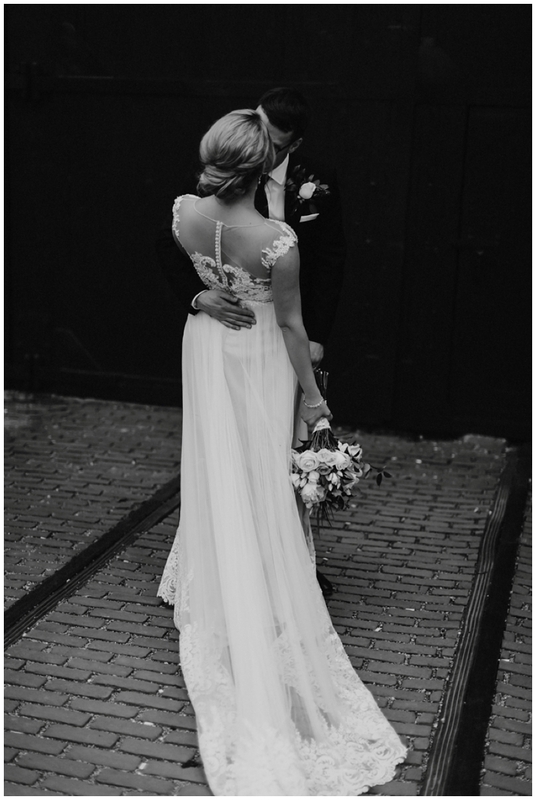 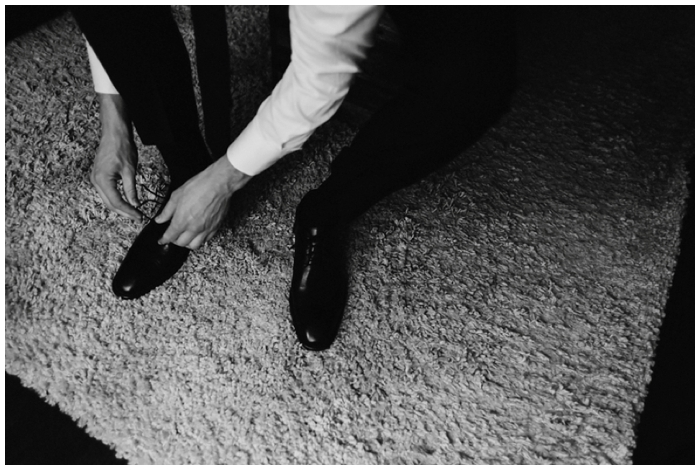 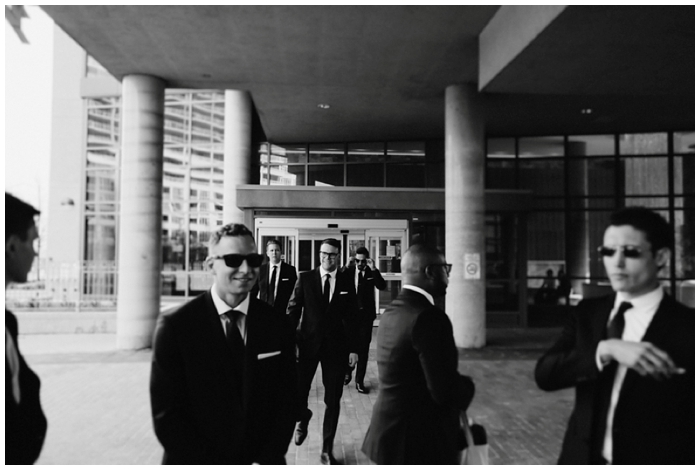 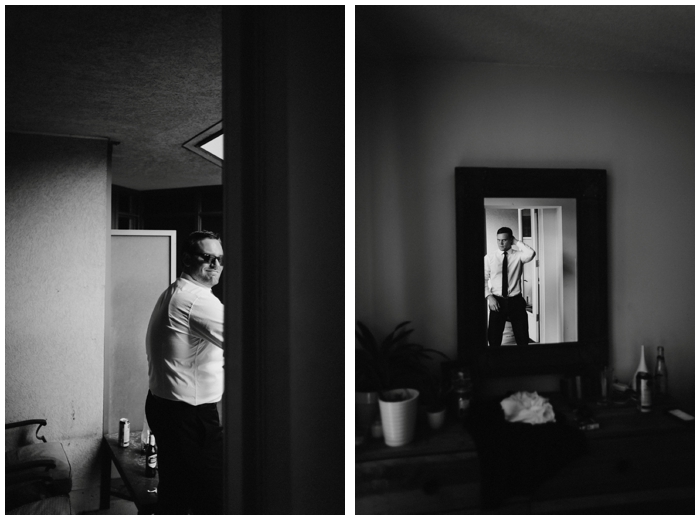 Without further ado, here is Neil & Court’s Industrial Brewery Wedding. 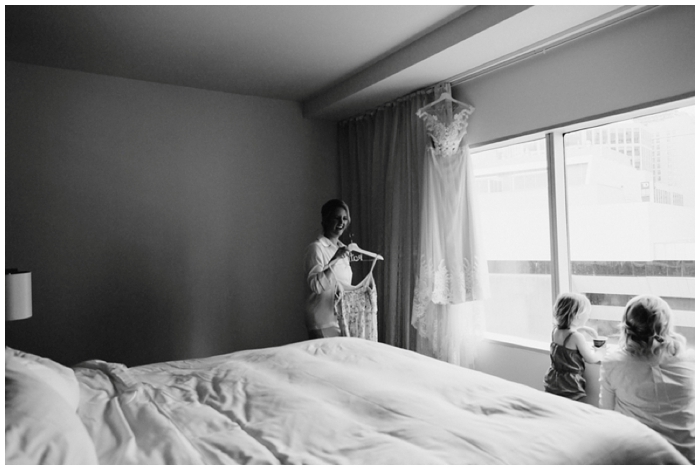 Thank you to you both for inviting me along to shoot and for welcoming Brandon so open heartedly. 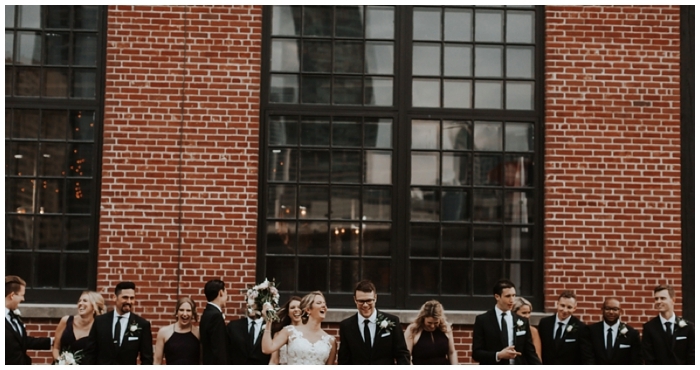 SO much love for you guys!